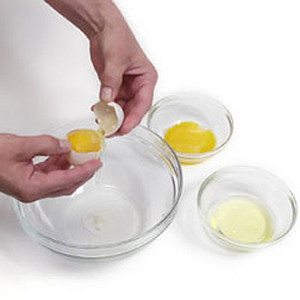 Here's an interesting way to separate an egg white and an egg yolk. This trick makes separating the egg yolk quite easy. I'm going to have to try this the next time I make an egg white omelet for breakfast. Don't worry, you don't need to be able to speak Chinese to understand the video, so it's definitely worth watching.